Bought this guy from China recently. It's a pretty neat little device that will hopefully work with my car's radio through its USB port. I'd like to be able to sync my Spotify CarFi playlist to it. Luckily, the ZSUN guys where nice enough to leave a telnet port open and also strangely enough the root password found its way to people's home as well. Well whatever the cause it's pretty awesome that we pretty much get a half-baked 16MB Raspberry Pi equivalent for about a 1/4 of the price of a regular Pi (won't mention the #Zero since that turns out is pretty hard to get these days). I found socat adequate for the job, even though it proved to be quite irritating at times. 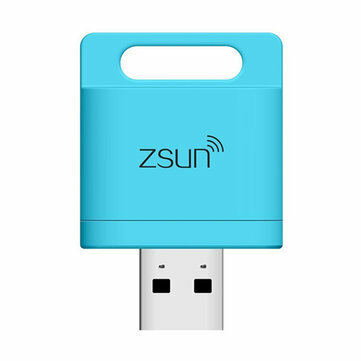 The ZSUN reader has the ability to bridge your wifi through it's tiny guts and connect to the Internetz. Thing is, every time it reboots, it refreshes its configuration. That's why we will need to create our own config file that will be run after every startup. and append a line at the end of your /etc/rc.d/rcS file. As a temporary solution, I'm running the Spotify Car-Fi playlist download if there's a specific USB device plugged in using an Apple Script. Change the name of a USB stick to CARFI. display dialog "CARFI found - running Spotify script"
do shell script POSIX path of thisItem & "carfi.sh"
display dialog "CARFI music updated"